Can Motif Investing's Themed Portfolios Help You Reach Your Goals? 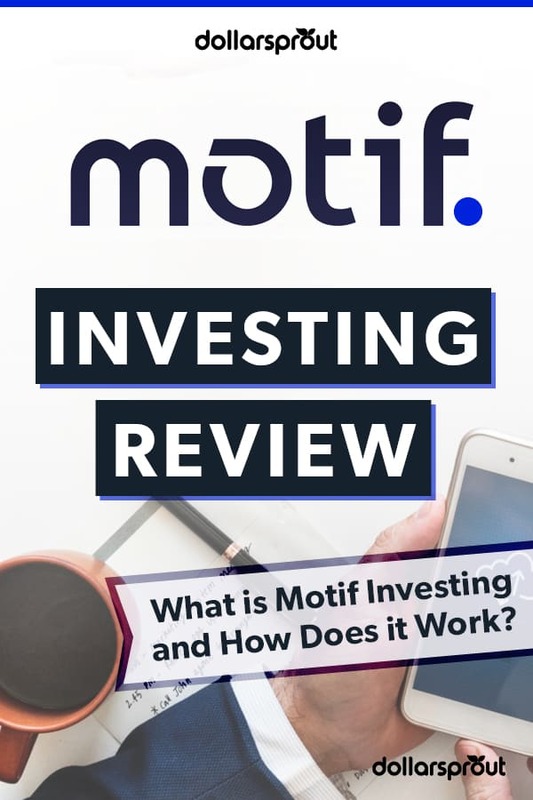 In this review of Motif Investing, we cover the unique investment strategy that the company offers and whether its portfolios can help you meet your goals. Investing is an essential but difficult part of everyone’s financial life. It’s one of the best ways to save for the future. But it’s difficult to know which investments to purchase and when to sell them. Even if you have a specific investment strategy in mind, it can be tricky to execute it. What is Motif Investing and How Does it Work? Is Motif Investing a Good Idea? Best For: Motif Investing targets people who want a more active hand in managing their investments but who don’t want to handle the actual work. You can target specific market sectors, companies, or themes using one of Motif Investing’s motifs or design your own so that you can invest exactly the way you want. Motif Investing is a financial company that helps you invest your money by making it easy to buy and sell multiple stocks or ETFs in a single transaction. It also offers dozens of pre-made Motifs portfolios. 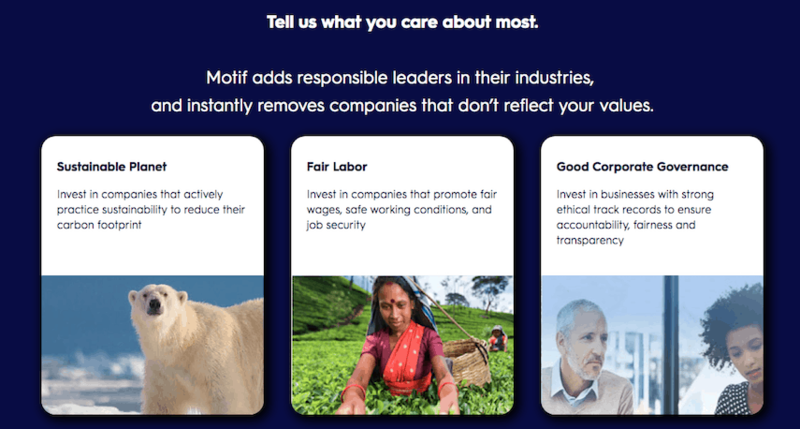 According to their website, Motif uses “data science to uncover the most important trends driving the economy and quantify the companies with maximum exposure to these trends.” It then designs Motifs that you can use to easily invest in those companies. Like any financial company, you’ll have to visit Motif Investing’s website and sign up for an account, which means dealing with forms and paperwork to prove your identity. You’ll also have to provide a $250 minimum deposit. Once you create your account and link your bank account, you’re ready to get started. The first step is to choose a Motif to invest in. Motif Investing’s big draw is its namesake investment Motifs. 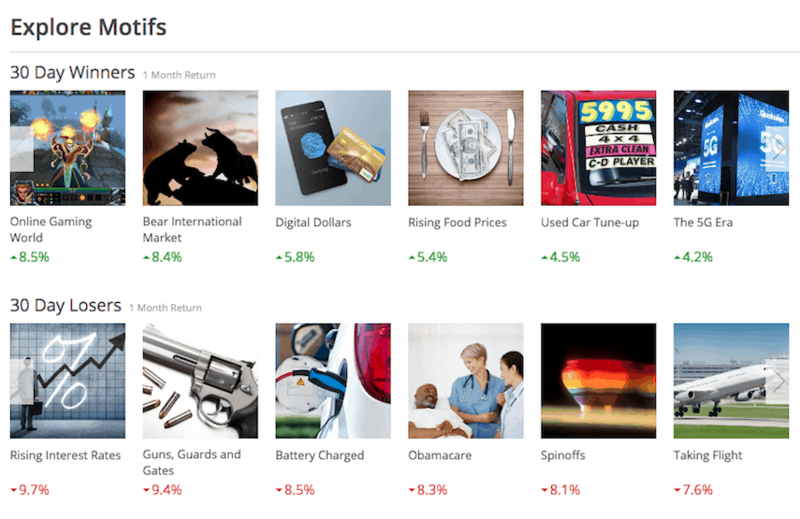 Motifs are hand-selected portfolios composed of up to 30 individual stocks and ETFs. They cover a huge variety of themes and sectors. For example, the Tech Takeout Targets Motif invests in growing companies that other large companies may consider acquiring. The Healthy and Tasty Motif focuses on health food companies. The US Bear Market Motif focuses on ETFs that short the market, meaning that its investors profit if the stock market drops. You can invest in as many or as few Motifs as you’d like. It all depends on your goals. If you think that healthcare companies and gyms will do well in the future, consider the Motifs that focus on those industries. If you want to focus on other sectors of the market, you can do that too. The fact that Motifs also invest in exchange-traded funds, which themselves invest in multiple businesses, makes it easy to diversify your investments across the entire market. Motif Investing has a catalog full of pre-made Motifs prepared by the company’s experts, but that doesn’t mean you’re limited to choosing from the list. If you can’t find a Motif that fits exactly what you’re looking for, then design your own. A Motif comprises up to 30 stocks and assigns a weight to each using one of the company’s four weighting strategies. This means that there truly is a Motif for everyone, even if you have to build your own. Building a portfolio can prove difficult in itself, but building a portfolio that aligns with your personal values can be even harder. Motif Investing offers special Impact Motifs that focus on different causes or social issues, making it easy to invest without sacrificing your values. For example, the Sustainable Planet Motif focuses on investing in companies that are actively working to reduce their carbon emissions. The Fair Labor Motif focuses on companies that promote worker safety, job security, and fair wages. As a bonus, Motif’s Impact Portfolios are cheaper to invest in than Motif’s thematic portfolios, giving you an extra reason to invest with your values. Companies are going public every day, and the best time to invest in the next Apple, Google, or Amazon is early on. 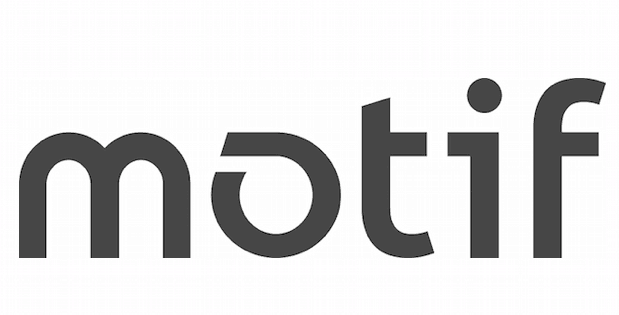 Motif Investing helps users get in on the ground floor with new companies by purchasing shares when a company makes its initial public offering (IPO). When Motif Investing offers an IPO, all you have to do is log in to your account and indicate your interest in buying shares. You can invest as little as $250 in the new company. When the IPO happens, you’ll get your shares. Keep in mind that IPOs are very risky. There’s no guarantee that the company you’re investing in will succeed or that you’ll receive any return on your investment. Still, this can be a fun way to add some diversification to your portfolio, and it makes IPO investing more accessible to the average investor. If you don’t want to invest in a Motif, or just have a favorite company that you want to own part of, Motif Investing offers the option to purchase individual stocks and ETFs. To trade in real-time, you can buy and sell stocks and ETFs for a small fee. If you don’t mind waiting for the next day, you can execute trades at the next market open, free of charge. This makes it cheap and easy to get exposure to specific companies in addition to the companies in your Motifs. Investing is important, but it’s not free. Every investing company charges fees. Here are some of the fees to expect if you work with Motif Investing. Here are some of the most common questions that people have about Motif Investing. The answer to this question varies based on a number of factors. It’s up to you to decide whether Motif Investing is a good fit for you. If you’re looking for an easy way to invest in specific themes or sectors of the economy, Motif Investing can help you do that. If you want to be an active trader who regularly buys and sells securities, Motif Investing may not be the right choice. You have to think about your goals and the services that Motif Investing align to make the decision. Yes, Motif Investing is as safe as any other type of investing platform. Investing is always subject to risk. The stocks that you invest in could lose value, which means that you’ll lose money. The stocks could also increase in value, meaning you make money from your investment. It’s up to you to assess the risk of each investment and know your own risk tolerance when deciding whether an investment is safe enough for you. One thing to note is that Motif Investing is covered by the Securities Investor Protection Corporation (SIPC). This insurance works like the insurance that the FDIC provides to banks. If the company goes bankrupt, the SIPC will be able to return your investments to you, which means you’re not at risk of Motif Investing going under and taking your money with it. Just remember that SIPC protection does not cover you for investments that lose value, only if Motif Investing fails and is unable to help you transfer your investments to another company. Motif Investing is a company that helps people invest in portfolios with specific themes, ranging from health food companies to tech acquisition targets. It also allows you to create your own portfolios or invest in individual securities. If you’re looking for an automated way to invest in specific sectors or with a specific strategy, Motif Investing can help. If you’re a more passive investor who wants easy diversification across the whole market, other companies offer cheaper alternatives.